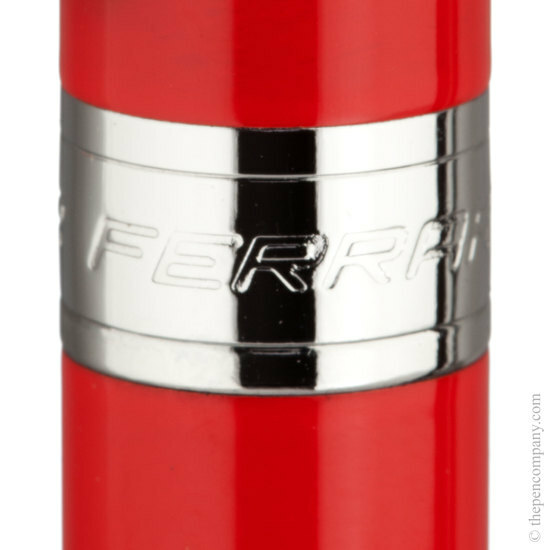 With its contrasting black trim and Rosso Corsa barrel, the Ferrari 300 makes a bold statement which is not easily ignored! 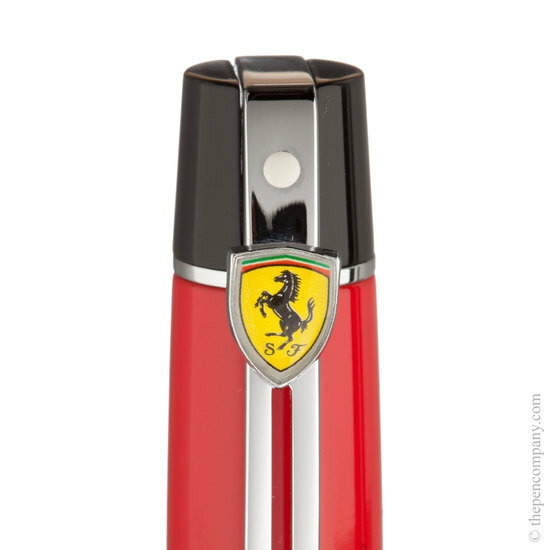 The 300 is a well made, substantial pen of metal construction and is characterised by its black detailing, and articulated sprung clip, complete with prancing horse shield emblem. It will be of particular interest to those looking for a more weighty pen. With a traditional contrasting black plastic grip section, the fountain pen comes with a push-fit cap and is available with either a fine or medium nib. It accepts the Sheaffer Skrip cartridges and can also be filled from an inkwell using the included Sheaffer converter. 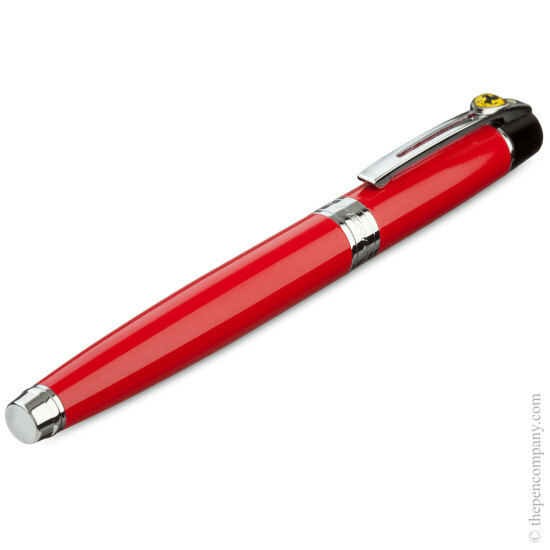 Also with a push-fit cap and contrasting plastic grip section, the rollerball pen accepts the Sheaffer slim refill. 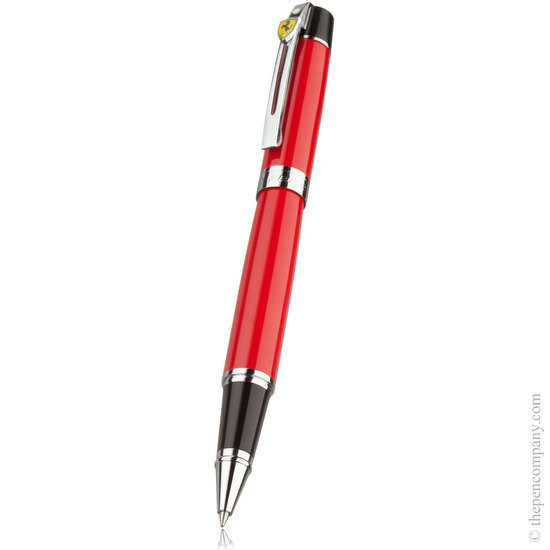 The final piece of the 300 range is the ballpoint pen, which has a smooth and reliable twist-action mechanism.